Hello there and thank you for checking out the my “About Me” page! Good to know that you want to learn a little bit more about me. So to start off my name is Josh Shogren and I am currently 20 years old. 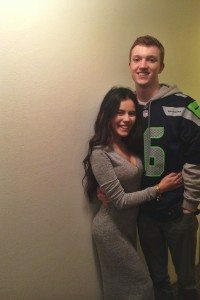 I am currently a Sophomore Western Washington University and I am hoping that I can make enough money online that I won’t have to get a job after I get done with college. I may be pretty young but I have been trying to make a dollar online since I was 14. I have tried all sorts of things and I have made a ton of different websites. This past year is when I really started to see some success and I began to put more work into my online business. I am now into making niche sites and trying to build up my website portfolio. I have also gotten into private labeling items from China and selling them on Amazon. With all of my niche site money, I have decided to invest it into starting a business selling on Amazon. You can follow my journey here. Thanks for getting to know me a little better and I am glad that you found my site. If you ever have any questions about anything you can contact me at [email protected] I will gladly answer any questions that I can. I found your post on reddit.com and really enjoy the content you are putting out there. Keep up the good information!! Hi Josh, brilliant to learn about you, you seem very similar to me. I’m only a year older than you (20) and just finished my second year at University. Ive set up my own business and am attempting to build my own amazon FBA business now. Wish you all the best, would love to hear how it all goes, keep working hard man. All the way from the UK. I really appreciate that and I wish you the best of luck with your online business! Thanks for sharing all this great information and your journey. Some really inspiring stuff 🙂 Kind Regards from Spain. Nice blog ! well we can talk by skype to exchange seo navigations if yes can you send me by email ! I found your website through some Youtube tutorials about Amazon FBA. I just wanted to thank you for taking the time to share your entrepreneurial journey. I am grateful for your honesty, authenticity, and transparency which are really tough to find online. I signed up to your newsletter and can’t wait to hear more about your journey! I just started my own Amazon FBA journey myself and your case study is super informative and inspirational. Thank you! Hey Josh! Came here via your great Reddit post and now I can’t stop reading your stuff! I’ve been exploring the idea of an FBA enterprise for a few weeks, and think I’m about to get started. I’m 63 years old and I still have the hopes and aspirations to build a solid web business, just like you. You’re doing a great job in getting your business going, learning what it takes to succeed, and also sharing all of it on this site! Man, I’d like to have some of your energy. At least I can enjoy your inspiration! Just wanted to say “thanks” for all your efforts to share this valuable FREE information in this format. Your writing style and videos are engaging and packed with great information and insight. To all your readers here, I have a prediction. In Josh, we are watching the development and early success of a soon-to-be billionaire entrepreneur! I’m going to predict he’ll get there before he’s 35 years old. Josh, I wish you success in this and all your future endeavors. Thanks again! I am glad you have enjoyed my site and my content, that is what I like to hear. I am trying to build this site into the ultimate free Amazon FBA resource so it is good to hear that from people. I have to say that your tutorials are really helpful, i came across one of your youtube videos about finding niche related expired domains, i can’t believe you are just 19 and already doing IM, i wish i had entered online business when i was that age i’m just on my mid-twenties myself still a long way to go just starting my own journey as an entrepreneur, people like you inspire me to keep going, all the best for your current and future jouneys greetings from El Salvador. I am a new comer, and I have learned a lot from you. Keep on pushing, you will not have to work a day in your life…sharing is caring and it will be returned to you. Very inspiring website, and amazing that you are doing this at 19!! I am looking forward to commenting and contributing to your website! Please keep up the brilliant work! I’m a 23 yr old living in Bothell, Wa. I’m currently doing WSU online after leaving the crazy campus and share your dream about not wanting to find a job once I graduate. I would much rather have a successful amazon fba business. Found your site while searching for Amazon FBA resources and thank you for posting all this great info. I will be using it as i start my first product launch, I am currently talking to suppliers on alibaba. Thanks for your comment and if you have any questions while you are starting your own Amazon business feel free to shoot me an email whenever! Great to hear your story. I am a 24 yr old and I just entered the online business this year. Your story is inspiring. Hope that I can get a chance to talk to you. hehe. All I can say is you ROCK! Okay, it doesn’t hurt that you like the Seahawks! As usual my IPad ate my last message. However, the report is great. I am reading it now. Josh, Are there any classes you are taking in college that apply directly to your online business venture? I did not go to college at all and are there classes you would recommend to take to get you feet wet with all of this? Thanks again! If you have any sites for sale please let me know. I don’t have any right now but, if I do I will let you know! I am about to start my own FBA business too and I am glad that I found your blog. So many “gurus” out there always ask you to pay before giving you any information but you give them all for free, for that I’m truly appreciated. Thank you so much and I hope I will have a good start just like yours! Nice profile of you that is really inspirable for each & every Affiliate Marketer. I wish you good luck for more and more. I have been reading your post and thank you so much! I am starting my journey of FBA too!! Thanks for commenting and good luck with your own journey! I just started reading and following your articles, videos and FB community. You’re doing a wonderful thing for the community. I’ve also just started my niche amazon fba business and kicking myself that why I didn’t start it earlier. Excellent content on Amazon FBA I have learned a lot from your information and your videos. I wished I started this earlier as well. One question I do have, and maybe this is question will be answered in the next article. Thought I would ask just in case. When finding a product and outsource it to China do you change the name on the actual product? For example silicone baking mat. That has a brand name on it I think it was Artisian or something. Do you change that name to your brand name? Again awesome work and keep up the good work. I’m 62 and have struggled in business for years. I never argue with obvious talent – I don’t care where it comes from. Top notch info! Very smart young man! As others have mentioned I will have to agree that this website is absolutely awesome. You cut through the BS marketing, webinars, and used car salesman type stuff and p,resent really helpful information. Thank you man! I have read your post “How I was able to Increase my Adsense Earnings by 74% in 2 Months” on NicheSiteAzon and it’s awesome post that i have found. BookMarked your blog and will read all of your excellent contents.